A Girl Called Hope invites you to experience the prestigious grounds of Gibbs Farm Sculpture Park. With picturesque scenery and incredible sculptures by renowned artists, this is a rare and unique opportunity not to be missed. There might also be chance to feed a giraffe or two! Gibbs Farm have graciously opened their grounds in support of the work of A Girl Called Hope: a not-for-profit organisation providing real alternatives to young women confronted with life-controlling issues. Lunch: There is opportunity with your booking to add a delicious lunch from Picnic Box who generously donate 10% towards A Girl Called Hope from each purchase. We do encourage you to book a meal with your ticket or bring a packed lunch as there are no eateries in the area. On the day please arrive at the Barr entrance of Gibbs Farm with your ticket where you will be greeted by an event representative. 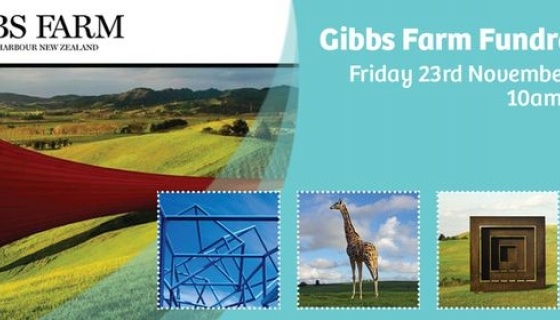 No entry fee is applicable when visiting Gibbs Farm by appointment; the Trustees of Gibbs Farm have generously allowed us to arrange this event as an important fundraiser to support the work of A Girl Called Hope.